It might be a brand new year but the European Union is already facing the same old problems. "Poland opposes the mandatory quota system for immigrants from North Africa and the Middle East"
Polish Prime Minister Mateusz Morawiecki says his government won't meet the EU's mandatory refugee quotas set to help take the burden off Italy and Greece. 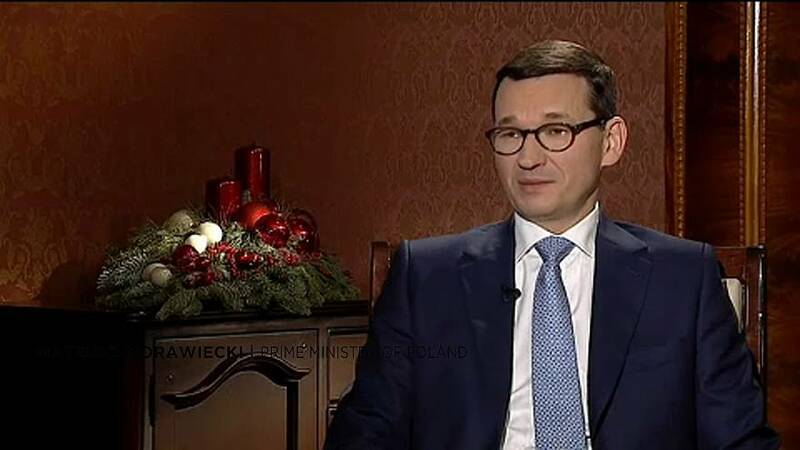 "We are invariably of the opinion, formulated by Law and Justice ahead of the elections of 2015, that we will not be receiving migrants from the Middle East and Northern Africa in Poland," Morawiecki said during an interview with Radio Poland. That doesn't mean the country isn't pulling its weight, Morawieski said. "On the Eastern borders of the European Union we contribute a lot to lowering tensions since we have already received tens of thousands and maybe even hundreds of thousands of refugees from Ukraine - but we don't give them asylum status." Last month the European Commission said it would sue Poland, Hungary and the Czech Republic for refusing to host asylum-seekers. In a separate matter regarding judicial reform, the EU has already triggered a process that could strip Poland of its voting rights.